Identify selected trends and factors that influence the design and construction of resilient, comfortable, flexible, and attractive retail and hospitality buildings. Assess innovative product and system offerings that can be used to enhance retail and hospitality interior design, durability, human comfort, hygiene, and adaptability. Determine ways to economically address material usage, space enhancements, and occupant comfort while producing designs that meet owner and user needs for energy efficiency, longevity, and performance. Investigate ways to incorporate specific building technologies into retail and hospitality designs by reviewing project case studies. It has been said “The only constant is change,” and that is notably true in the world of retail and hospitality design. Changing markets, changing ways of engaging with customers, changing local conditions, and changing building technology all require the designers of this vibrant building type to not only keep up with the changes but to also try to anticipate and stay ahead so that designs don’t quickly become outdated or obsolete. Staying abreast of current research and market reports is certainly one way to keep a pulse on the factors influencing retail and hospitality companies, but keeping up with building technology and products is also important for designers to develop relevant, successful solutions. This is true for new buildings as well as the frequent renovation and refurbishing of retail and hospitality spaces. In this course, we will focus on some of the latest building systems, products, and developments that can be used for a variety of store, restaurant, hotel, and similar buildings to create designs that perform just as well as they look. Retail and hospitality spaces often need to change due to a variety of reasons, whether they are new or existing restaurants, hotels, or retail stores. Retail and hospitality spaces, like most spaces, are defined by walls that can be finished in a variety of ways to elicit an emotional response, create a design statement, provide a sense of branding, or simply create a desired color and texture for the space enclosure. At the same time, they are exposed to high levels of people and activity. Therefore, they need to be durable and long lasting enough to withstand the rigors of their setting. Two innovative options to achieve this are discussed below. The construction of retail and hospitality spaces is often very time sensitive, meaning the use of prefinished materials is often desirable to meet opening deadlines. Prefinished wall panel systems can meet that need while still providing diverse aesthetic options and high durability. Some can even be installed directly to a substrate with adhesive or hung on a Z-clip or similar to expedite installation and allow for changes or substitutions whenever needed. Either way, they can be used to create a positive first impression on those who enter the space and impact how they may remember it when they depart. 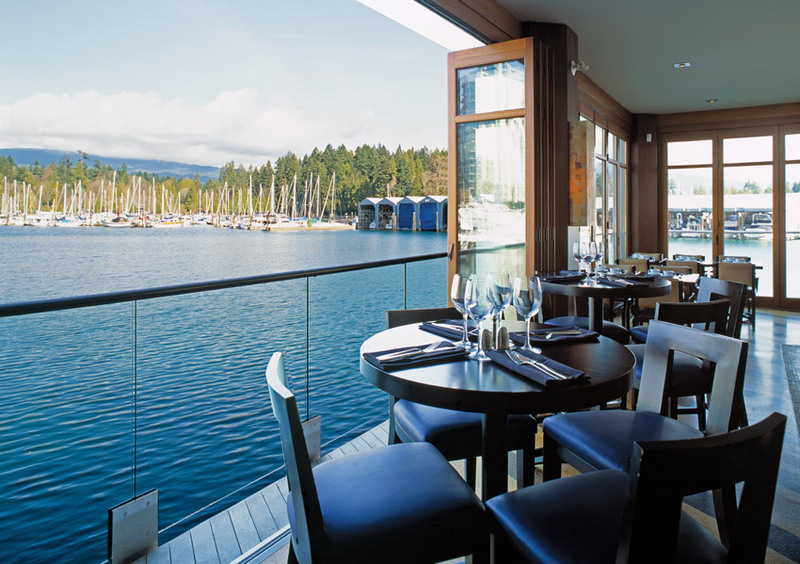 Wall panel systems that are engineered for superior impact resistance and carry a Class A fire rating are readily available and most suitable for retail and hospitality designs. They are available in a full range of colors and textures, including some that simulate metal or wood grain to create the desired look and feel for a space. Commonly, they can be specified and installed in any one of three ways. 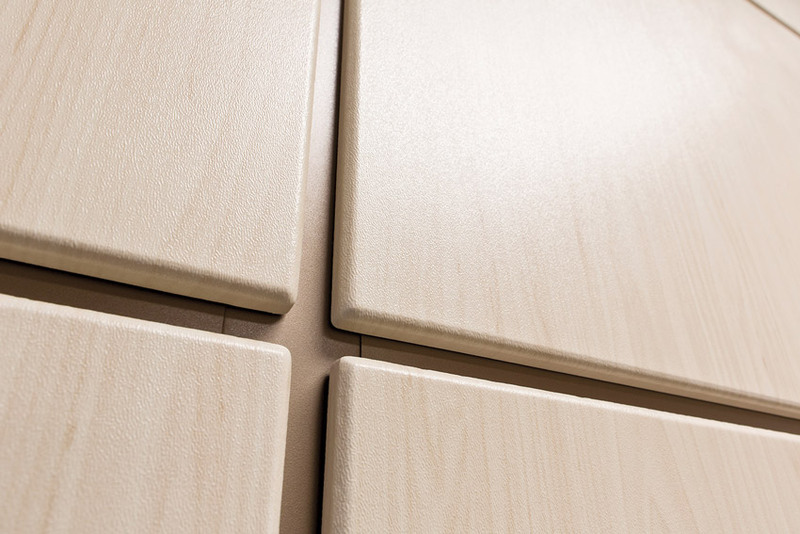 Square edge wall panels provide durability with a flush look and tight panel seams. This style allows for the panels to be cut and assembled in the field to ensure easy installation for difficult areas or challenging wall conditions. Full-wrap panels extend the protective, finished face around the edges of the panels, allowing them to be spaced apart to create innovative designs. They are available in both a beveled and square profile panel edge and can be affixed to the wall with either a premium adhesive or demountable Z-clips. Wall trim that matches or complements the panels that is made from the same durable materials is also available. Such trim can combine woodgrain rigid sheet with a variety of molding options to allow designers to achieve a number of looks. Overall, wall panel systems can create imaginative designs, improve construction processes, and provide the owner with an attractive, rigid, and durable wall finish solution. Interior wall panels with wrapped edges can provide a variety of aesthetic design options as well as superior durability and protection in retail and hospitality settings. 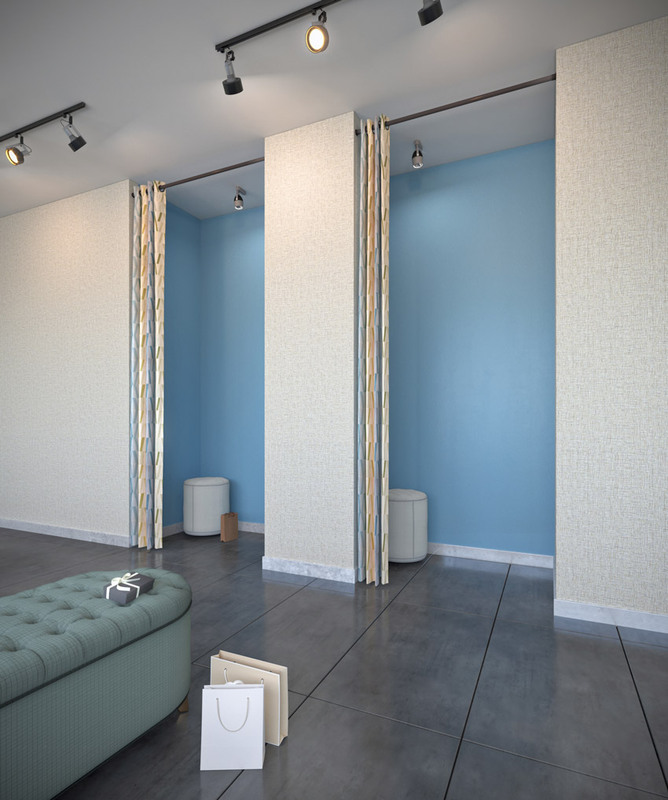 While rigid protective wall panels offer pattern and color choices, there is also an alternative that provides the aesthetic of rolled wallcovering with the function of traditional wall protection. Flexible wall protection materials are available that are so resilient, they fend off stains and vandalism simply by wiping away with standard or high-strength cleaning agents as needed. They offer the same durability and protective performance as traditional rigid wall protection, but they are indistinguishable from wallcoverings. They are durable enough to handle the conditions of the harshest environments, yet literally flexible enough to become the showpiece or backdrop of any interior. With seamless installation, they also become an uninterrupted finish in a variety of patterns and colors. These materials are offered as three-dimensional design alternatives, with wall panels wrapped in the wall covering for another way to bring visual interest to interiors. With these inviting textures, rich colors, alluring patterns, and a seamless appearance, a wall is no longer just a surface—it can be a canvas for expressive design possibilities. Flexible wall coverings are an option that provide the character and protection of traditional wall coverings and the durability and wear resistance of rigid protection materials. Acrovyn Doors were designed with high-impact areas in mind. Architects and designers choose our doors for their extensive design options and their ability to withstand heavy facility traffic. Clad with ultra-durable Acrovyn® and featuring rounded, field-replaceable edges and stiles, Acrovyn Doors will keep your entire opening looking like new. You have standards to follow—colors to express, logos to flash, even images that associate brains with a brand. Take those elements and bring them to life as wall protection or wall art to connect your guests with your brand. Mitsubishi Electric Cooling & Heating’s kumo cloud™ App provides precise zoned comfort and VRF system connectivity through a cell phone, tablet, or desktop interface. Manage multiple locations and indoor units, grouping them into zones. User functions include scheduling, fan speed, vane direction, error monitoring, and filter change alerts, among others. NanaWall Systems provides a wide range of opening glass walls for commercial environments that stand up to the daily commercial grind as well as the challenges of wind, water, extreme temperatures, forced entry, impact, and structural load.